If your memory of positive psychology terminology increased by 50-60 percent or more over the next three months, the impact would be enormous! And let’s face it, as a professional, there is little reason not to know new concepts and their corresponding terminology. Learning the lingo of positive psychology is all about your mindset and how you use your memory. The good news is that there’s a fast, easy way to store thousands of positive psychology terms and definitions in your memory so you can recall them on command. What could be better then being able to look at a new term and definition, play a simple game a few times a week, and begin using what you’ve learned to be a better professional? If this sounds good to you then you’ll love these memory techniques. The most useful technique for learning is called the Memory Palace. This method uses associative-imagery which lets you encode information when you choose to remember it and decode it when you no longer need it. 1. Create mental imagery and sensations to help you recall the terms and their definitions. 2. Store these images in a strategic way so you can find them whenever you want. 3. Practice recalling and “decoding” the images in such a way that they become embedded into the long-term memory. 4. Use what you’ve memorized, by speaking, reading, writing, and engaging with the new terminology as often as possible until it really sinks in. Most peoples’ memories respond to images — particularly action-filled, emotion-packed images. Therefore the stranger the images you create, the more you increase your ability to instantly recall them. And when you connect vivid — and even shocking — imagery to the sounds and meanings of new terminology, you will remember and recall them with ease. Take the word “eudaimonia”, which means “human flourishing”-living a virtuous life guided by reason. If you want to memorize the word, take stock of its characteristics, for example this word has five syllables. 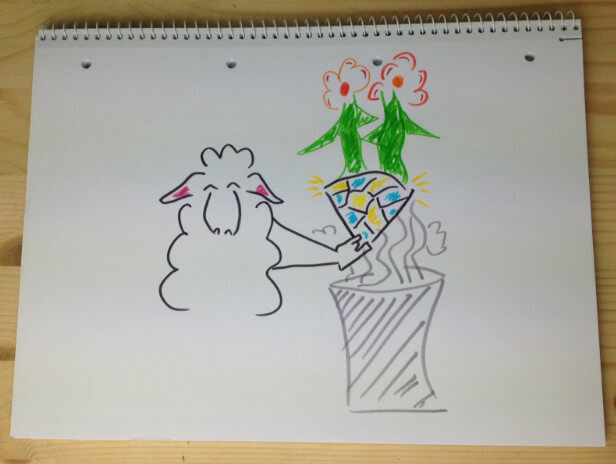 Now try imagine, for example, a ewe exposing a diamond to a vat of ammonia and from the diamond, see flowers flourishing. As you focus, break down the relationship between the image and the sounds: “ewe” kicks off the word. “dai” comes from the diamond in your image and “ammonia” has “monia” in it. If you can get a simple picture like this in your mind, you can quickly memorize any term and its meaning, no matter how strange it may sound. Really take a moment to picture the scenario. Imagine the figures as huge, vibrant, and bursting with color and action. Focus on those three key figures in larger-than-life action and remember what the diamond is doing. It is flourishing. Now that you have the imagery you may ask: how can I find this word when I need it? And how can I connect it to other words to which it relates? 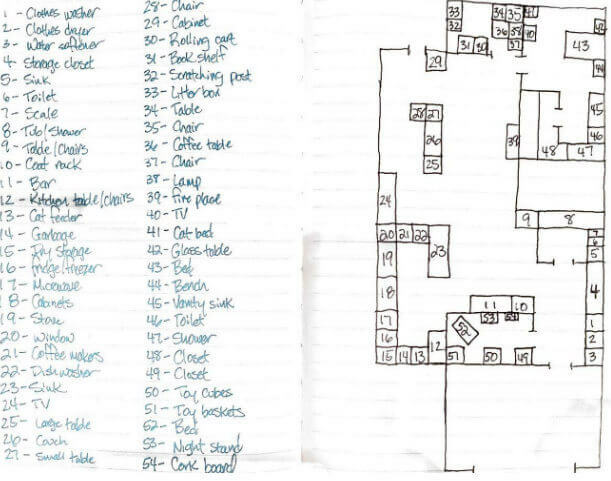 A Memory Palace is a mental construct based on location which you can use as an organizational device for coding, storing and decoding mental imagery. It’s worth knowing the technical definition you’ve just read for deeper understanding; but in simpler terms, a Memory Palace lets you use a familiar building to create an imaginary journey. Along that journey, you create “stations” for the imagery you want to remember. Then you repeat your journey backward and forward to memorize the new words. 1. Select a place you can easily recall. It could be your home, your office or a favorite cafe- just make sure you can create a solid recollection of all the rooms.Make sure you can see or sense the location of each corner because these will be your stations. 2. Draw your Memory Palace. Just get out a piece of paper and a pen or pencil. Drawing the Memory Palace will get your muscles involved in the process, strengthening your mental imagery and activating more representation centers in your brain. List your memory stations. Start with a small number and gradually build on it. 3. Make a list of your stations. By writing out the stations in a linear format, you give your mind another way to process the journey. You’ll also use this list to record the images and test yourself. 4. Practice using your Memory Palace. Now that you’ve created it, move forward and backward through your palace. It’s also good practice to leapfrog along the odd and even numbered stations to ensure that you know the whole journey well. If this is your first time making a Memory Palace, don’t overdo it. Eight to 10 stations is more than enough to get started. Later, you can create larger Memory Palaces to store more words. Which positive psychology terms should you pick? It’s entirely up to you which words you choose, but ideally they will be words that you will use or frequently encounter. Have a different Memory Palace for each term relating to the history of the field, for the processes of positive psychology. Keeping it simple and specific will serve you well. 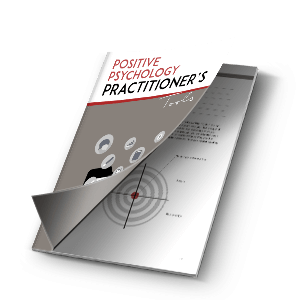 Another option is to consult the index of a positive psychology textbook or The Positive Psychology Practitioner’s Toolkit and proceed alphabetically based on the terms most relevant for you. After putting the images for each word at the stations in your Memory Palace, rehearse them. Think of each station as a theater stage and each image a set of actors. Once you set them in motion, they deliver their lines, providing you with their term and definition. So how often should you rehearse? It depends. If you read, write, talk about, and listen to others talk about positive psychology every day, you wont need to rehearse much. A good rule of thumb is to make the journey through your Memory palace 5 times the first day, once a day for the next five days and once a week for the following five weeks. Memory champion Dominic O’Brien calls this ‘The Rule Of Five’, but you can certainly tweak the numbers to suit your needs and memory. The more you actively engage in the field of positive psychology, the more you’ll already be rehearsing these terms and their meanings, saving them to your long term memory. If you’re active in the field of positive psychology, you have surely come across the name of psychologist, researcher and author Mihaly Csikszentmihalyi (famous for his work on flow and creativity) countless of times. But do you also know how to pronounce it? That will do the trick next time you want to mention his name to a coworker or someone you meet at a conference. All you need is a little time and a little effort. After you practice the imagery, it’s just a matter of placing it in your Memory Palace. Repeating your journey through your Memory Palace regularly will help you get every term you want to learn into long-term memory. Then you really can become a master of your field in record time. Are you ready for your free memory improvement kit? Do you have experience with memory tricks or methods? What does your Positive Psychology Memory Palace look like? Share your story with us in the comments box below. Anthony Metivier is the author of over 12 bestselling books and video courses on using your memory for specific topics. 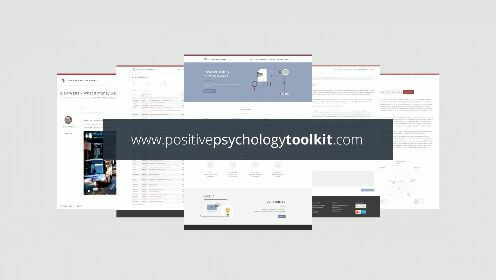 Get his FREE Memory Improvement Kit [Need to create landing page] for more tips and tricks and start memorizing more positive psychology terms and definitions.